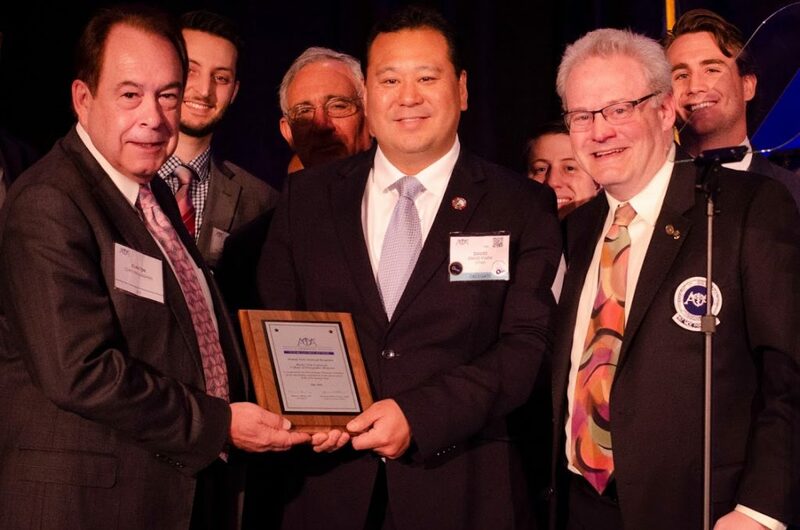 Rocky Vista University’s College of Osteopathic Medicine (RVUCOM) was honored during a recent House of Delegates meeting in Chicago. 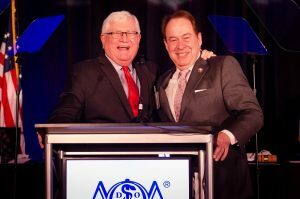 The American Osteopathic Association (AOA) recognized leaders of the osteopathic medical profession for raising its visibility through brand awareness, research, access to care around the world, and osteopathic medical education. The Presidential Citation, which is the AOA’s highest honor, was awarded to Clinton E. Adams, DO, FACHE, President and Chief Executive Officer for his “exemplary career of military service, outstanding osteopathic medical education, and advocacy on behalf of the profession”. He served in the U.S. Navy, where he was a command surgeon and attained the rank of rear admiral. Dr. Adams also sits on the board for Accreditation Council for Graduate Medical Education, where he offers input into the policies of medical residency programs in the country. RVU’s College of Osteopathic Medicine (RVUCOM) was also honored with the Strategic Team Award and Recognition (STAR) Award. This award “recognizes contributions made by state and specialty affiliates, osteopathic medical schools and non-practice affiliates in enhancing the osteopathic medicine culture.” RVUCOM was presented the award for its commitment to stewardship and leadership in osteopathic medicine at every level. The college supports state osteopathic associations in Colorado and Utah by providing speakers for CME events, free membership and medical equipment for educational and service activities, and financial support. RVUCOM was also commended for its efforts to address diversity and gender equality and its focus on leadership in its new Academic Medicine and Leadership elective track. RVUCOM is honored to receive these two awards as a recognition of its hard work, leadership skills, and dedication to the medical profession.